The cooling water system can be used to remove heat from the equipment. Large cooling water systems are used in all aspects of human social production. However, it is seriously affected by the problem of corrosion and blockage. So this year, the 2018 ECUST iGEM team will use synthetic biology to solve this problem and bring benefits to human society and the natural environment. The corrosion and blockage of the cooling tower is mainly caused by the rust and biofilm produced by bacteria such as iron bacteria. We hope to solve the blockage problem and fundamentally prevent it from happening again. 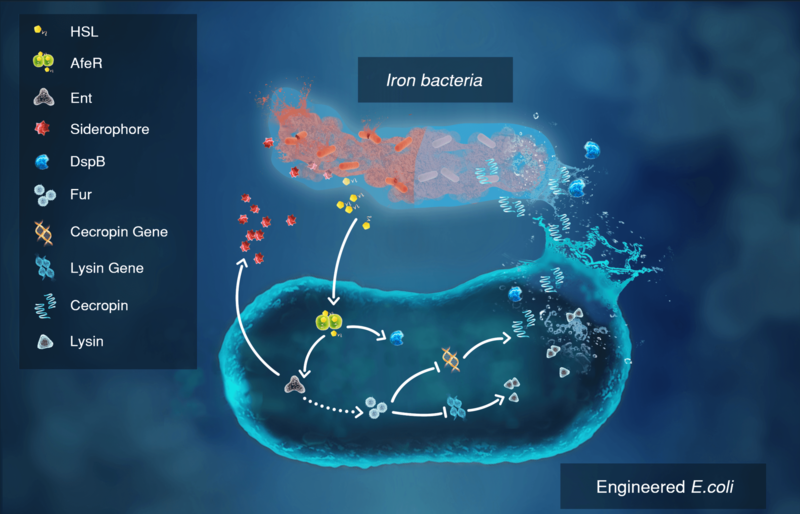 Therefore, we use engineered E.coli with a two-stage genetic circuit which can firstly sense the presence of iron bacteria by quorum sensing system, initiate the expression of the siderophore, and remove the rust; at the same time, the dispersin is removed in parallel to remove the biofilm. When the concentration of siderophore-Fe3+complex in the environment increases ,our engineered E.coli can sense this signal and express the antimicrobial peptide by the iron reversal system, killing harmful bacteria such as iron bacteria. On top of that, we have designed a new hardware iTube which can be applied to the pipeline system. 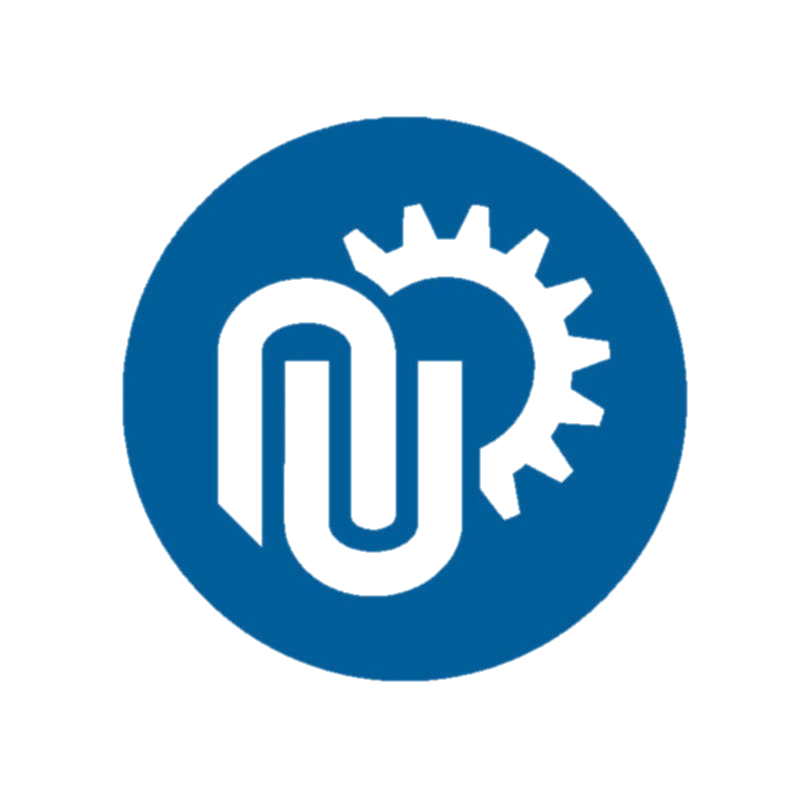 Through neural network algorithms, we can predict whether corrosion is about to occur in the pipeline, so people can take measures in time. iTube can control the spread of engineered bacteria by its blue-light-system source which is used as a suicide signal for engineering bacteria. In short, we have designed a new genetic logic circuit, built a new hardware and software for the pipeline system, which provides a great reference for solving the environmental problems by using synthetic biology ideas in the future.